BY DAY, EMILY NOLAN IS A STUDENT at Brandeis University working toward two master’s degrees. Before she went back to school full-time, she was working in fundraising and operations at a charter school in Dorchester. Prior to that, she was conducting a Fulbright research project on financial services for women in Niger, West Africa. By night, she is known simply as Malice Paul, a member of the Mass Attack Roller Derby (MARD) in Fairhaven. The derby name Nolan chose is a tribute to her favorite suffragist, Alice Paul. Nolan wears the number 1920 (the year the 19th amendment was ratified), and right above her numbered armband on her left arm is where you’ll find a picture of her idol’s face in ink. 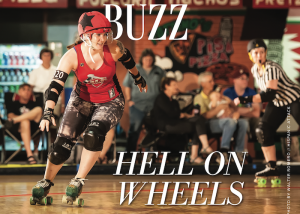 Roller derby is no longer the theatrical sport popular from the ‘50s to the ‘70s played on a banked track. 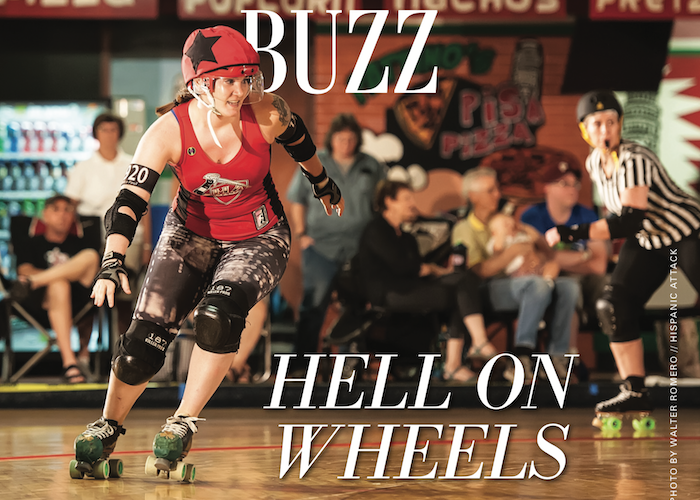 It is now a serious athletic endeavor on a flat track with professional league rules laid down by the Women’s Flat Track Derby Association (WFTDA) in 2005. It didn’t take long for these changes to spark interest in hundreds of women, like Nolan, seeking an active outlet in their adult life, and to share a bond between other strong women of all walks of life. This story originally appeared in our May 2017 print issue. Do you want to get our next print issue delivered straight to your door? Subscribe right here. Just $19.95 brings you our next 4 issues! March is women’s history month. At South Coast Almanac, we’re digging into our (short) history to bring you the profiles of 6 amazing women from the inaugural 2016 issue. And if you want to keep up with more of our favorite South Coast folks, sign up here for our free emails filled with lots of juicy stories and local tidbits. This week, meet Gail Fortes who detoured from a career in dance to a career empowering girls and women. Find out why she’s got rolling suitcases packed at the office at all times. 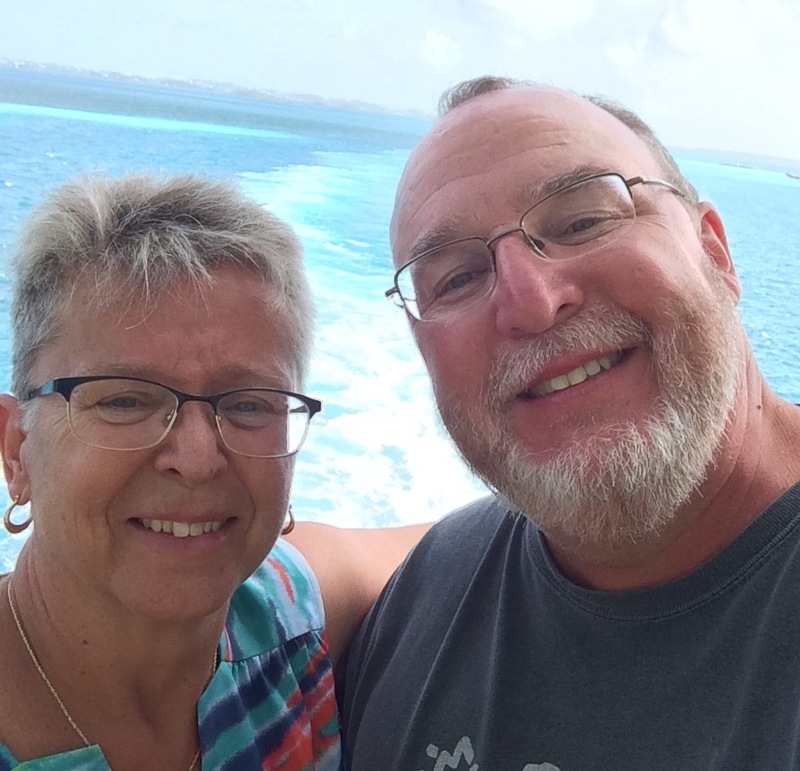 Check out her story here: Gail Fortes. Our hero today is Ashley Bendiksen, a young woman who passionately works to make sure other young women know they can survive domestic abuse. Check out her story here: Ashley Bendiksen. March is women’s history month. At South Coast Almanac, we decided to dig into our own history (alright, alright…with just one issue out so far, we don’t really have to “dig” very far) to bring you the profiles of 6 amazing women from the inaugural 2016 issue. First up, the baby whisperer: Tobey Hospital’s Louise Bastarache. 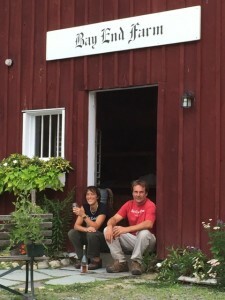 People drive from as far away as Boston and Provincetown to have Louise as their midwife. 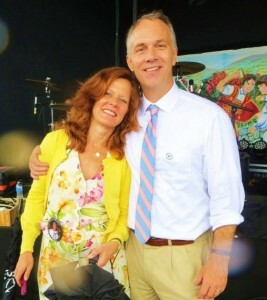 Check out our story about her here: Louise Bastarache. And if you want to keep up with more of our favorite South Coast folks, sign up here for our free emails. Why we love them: A few weeks after they met at a wedding, the mayor drove from Washington, D.C. to Philadelphia for a date with Ann. On that first date, she ran into a group of friends and introduced him to everyone as “Bill”. We love that there was a second date. 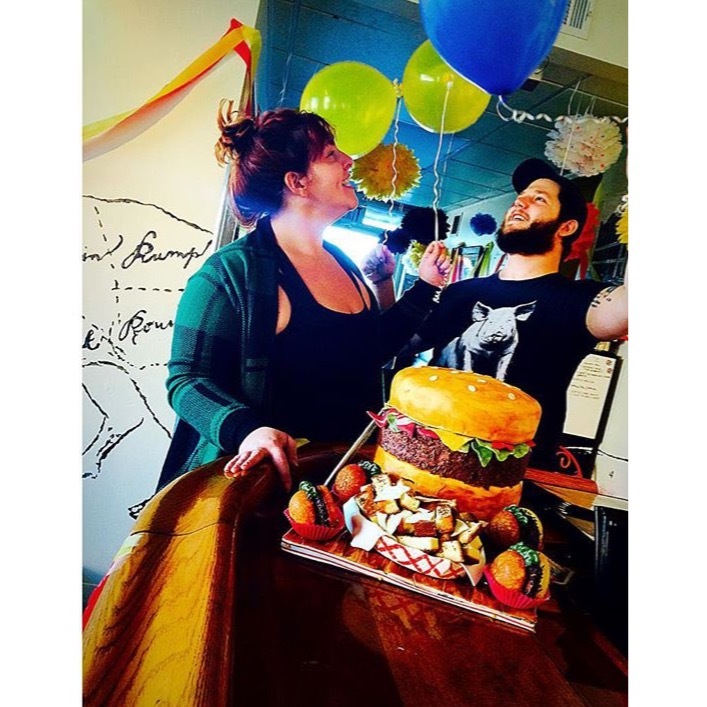 Why we love them: The owners of dNB Burgers are super fun. Just take a look at their burgers’ names (Don’t Let Winter Win 2.0; a Chive Called Quest; the Flavor Bible…) Amelia moved to New Bedford from Western Mass because she heard it was a cool place to live. She met Josh. They fell in love. They decided to open up a business. It’s bursting at the seams with happy burger fans. They make everything look easy. And fun. Why we love them: When Bob yearned for the live sound of a big band, he decided to create it himself. He persuaded his wife Chris, a professional clarinetist, to play the tenor saxophone because he wanted her in the band (“It’s our night out,” he says.) They gathered 15 other musicians (including two other couples: Phil and Karen Sanborn; Bill and Karin Kingsland) and created Southcoast Jazz Orchestra, a big band that plays around the South Coast (usually on Monday nights) and kills it every time. Why we love them: The farmers at Bay End Farm have introduced us to kohlrabi and mustard greens, tomatillos and purslane. And whenever we see them – even at the height of the summer planting and harvesting — they are friendly and gracious despite the mountains of back-breaking hard work in front of them, or just behind them. Why we love them: We love that Vince agreed to move from Boston to Chris’ hometown of Mattapoisett. 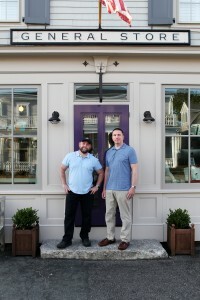 And that he then agreed to open up the Town Wharf General Store which cheerfully livens up Shipyard Park. And we love, love, love that they live above the shop and can pop down anytime for some cocktail fixin’s. 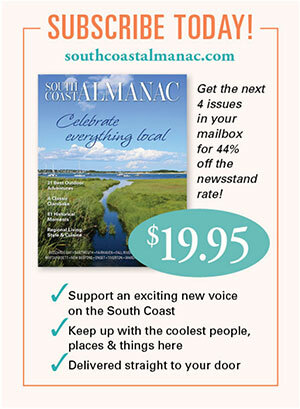 For occasional email updates from South Coast Almanac, sign up here…. We promise two things: we won’t share your email address with anyone else and we respect your inbox (i.e. we won’t inundate you with emails).